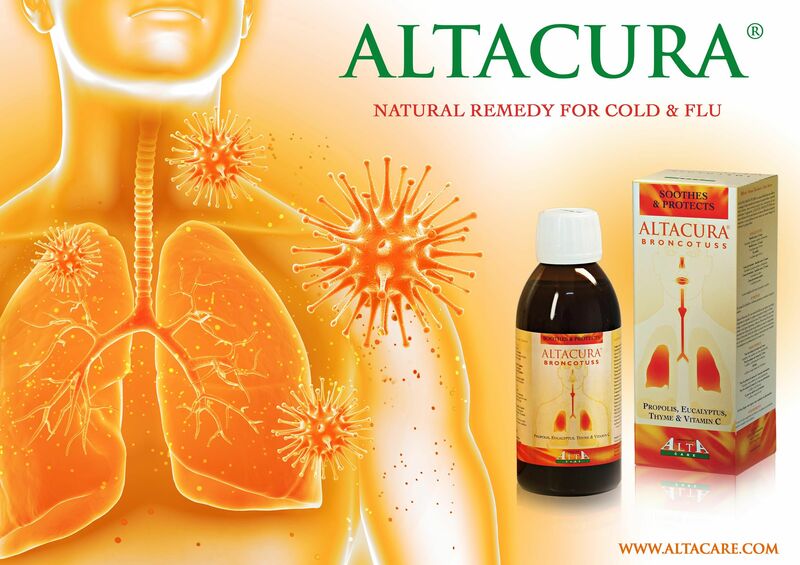 Altacura Broncotuss has a fluidifying action that soothes and protects the body helping to boost the immune system when there are climate changes, especially during the winter months when the body must resist to all types of aggressions. Cough is one of the main symptoms when one suffers from cold and flu. As a prevention adults: 1 tablespoon at night or as directed by your pharmacist or doctor.